Bean Body is an all-natural, high-quality skincare brand that utilises ingredients that are strong enough to remove any skin impurities, whilst leaving your skin feeling soft and smooth. 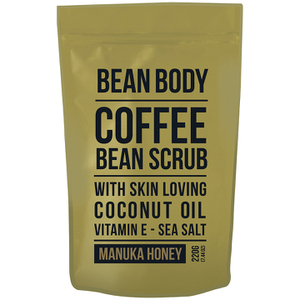 Infused ingredients like coconut, Manuka honey, cocoberry, mandarin, vanilla and peppermint, you will be sure to find a Bean Body scrub that meets your skincare needs right here on HQhair! Bean Body believe that whilst physical beauty is only skin deep, your skin and hair can definitely effect your confidence, this is why the brand’s philosophy revolves around feeling beautiful on the inside and out. Bean Body noticed a gap in cosmetics market and identified that although some beauty products were costly, they did not actually produce any visible results, and that is why the company was created. Unlike many other brands, Bean Body offers organic and natural products made from the highest quality of ingredients at an affordable price. 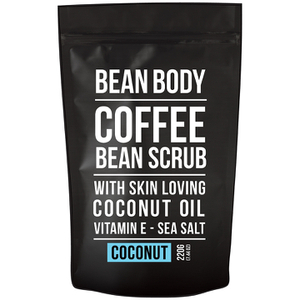 On top of this, Body Bean's scrubs actually make a noticeable difference to the quality of your skin. This environment friendly company also considers various health issues in the making of their products to reduce the risk of an allergic reaction. 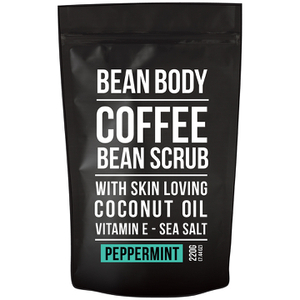 After just one use of a Bean Body scrub, your will be left feeling softer and smoother than ever before! What Are The Benefits of Using Bean Body? 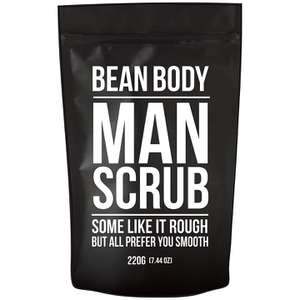 Bean Body’s scrubs are strong enough to help remove any of your skin’s imperfections, whilst still nourishing and moisturising your skin. The caffeine within the scrubs will stimulate blood flow and help to reduce any visible signs of cellulite, eczma or stretchmarks, whilst the Demerra sugar and Himalayan salt will exfoliate your skin and remove any dead skin cells, acne or blemishes.